Do we eat to live or live to eat has always been a crucial question for food lovers. If you ask me, I’ll be slightly leaning towards the latter. Jokes part, as we spend much of our time cooking and then eating with our family, the importance of an efficient kitchen space is necessary. We should not hesitate whenever we feel a kitchen remodelling is needed. 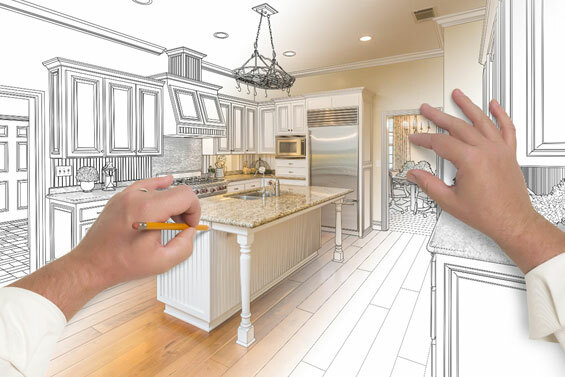 With all the DIY videos floating around the internet, it’s common to think, from simple redecoration to major home renovations, no project is too big to handle. But when it comes to kitchen remodelling, is this risk worthy enough to take? The following discussion is to help you determine if the project you are on is okay for a DIYers to take on, or should it be left to the professionals. How much time will a kitchen remodel really take? Can you afford spending that much time? Be articulate when calculating these numbers. Are you really prepared to take on the job? Decide on the time frame you have to do the project. Do you plan to learn as you go or you already have strong DIY skills? Being without a functional kitchen can be a huge inconvenience, keep that in consideration too. So, if the time (and skill) is tight, it is suggested that you hire a building expert who can do the job precisely for you. Setting unrealistic goals and taking on a project beyond the scope of your abilities will only waste your time and money as it might have to be redone by the professionals if something goes wrong. We know they tell us to shoot for the stars but before doing that, ensuring that we have a backup plan will be a smart move. In case things decide to go south or life gets in the way, we don’t want to be floating around forever in the space, right? While doing any kind of renovation, safety should always be the top priority. Be sure you know what you’re doing, have expertise it takes and access to proper equipment before you begin. Quality workmanship and proper installation is essential for protecting both your home and your family, especially when it’s the kitchen you are redoing. If you decide on a professional renovation, hire someone who is licensed and insured properly and matched to the job. Check if they provide warranties on their work, choose someone who does. In addition, professionals know local regulations. Ordinances and required permits may vary from community to community; professional renovators would know it through and can have the job done seamlessly. Think the project through before starting by yourself or to hire a professional from the go. You can take on the small tasks while leaving the big messy tasks to the professionals. This way you can contribute to the remodelling and get the finesse too. DIY projects can be cost efficient and rewarding we know, as long as you are well prepared. So do your homework, know your limits, and don’t hesitate to hire the professionals when necessary.